What’s the difference between giving a child a lift and carpooling? Carpooling implies that you and other drivers are sharing your resources. But Montreal driver Stéphanie Émond knows it’s when you just give your non-driving child a ride. When the woman was pulled over by the fuzz on suspicion of travelling alone in the carpool lane reserved for at least two passengers in a vehicle, the officer cited a non-existing law and slapped Stéphanie with a hefty fine. The cop explained that while Stéphanie did have another passenger in the vehicle it was not an adult in possession of a valid driving licence. That was a crime, said the copper. But it isn’t. But undeterred by the law, the copper gave the blameless driver a $169 ticket for a law that does not exist. 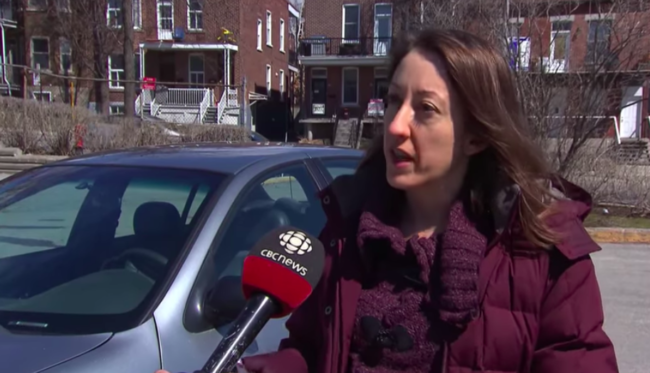 “In fact, a parent taking a child to daycare is assumed to be carpooling,” Transports Québec spokesperson Solène Lemay is quoted as saying on the website. This is problem of semantics. Carpooling looks like a single-person supplement, a rule prejudicial to people who live alone. Everyone pays the same to use the roads but the childless bachelor or the lonely window can’t use all the lanes. How can that be fair?